A shot from the Elm Street Tattoo and Music Festival. Oliver Peck, co-owner of Elm Street Tattoo, is a judge on Spike TV’s Inkmaster, owns a second tattoo shop in Hollywood, and has travelled the globe tattooing — but his favorite place in the world is still Deep Ellum, Texas. Peck opened Elm Street Tattoo here in 1996, choosing the neighborhood because of its thriving music and art scene. Peck learned the art of tattooing while he was still a teenager, first working at a shop on Elm and Pearl Street. He opened Elm Street Tattoo later, after that business closed. Right away, he began looking for ways to attract customers to his shop and create excitement in the community. The catch? All tattoos must feature the number 13, believed to bring good luck in tattoo circles. The tradition has certainly been fortunate for Deep Ellum, attracting lines out the door to Elm Street Tattoo — and bringing patrons to other local businesses, as well. In 2012, Peck launched The Elm Street Tattoo and Music Festival, working in collaboration with Jim Heath, lead singer of The Reverend Horton Heat. “Jim and I were talking one day about how Deep Ellum needed an annual event — a festival. We both love art and music, so we put this thing together that brings bands and artists from all over the world,” Peck says. The festival attracts thousands of people to Deep Ellum every year. 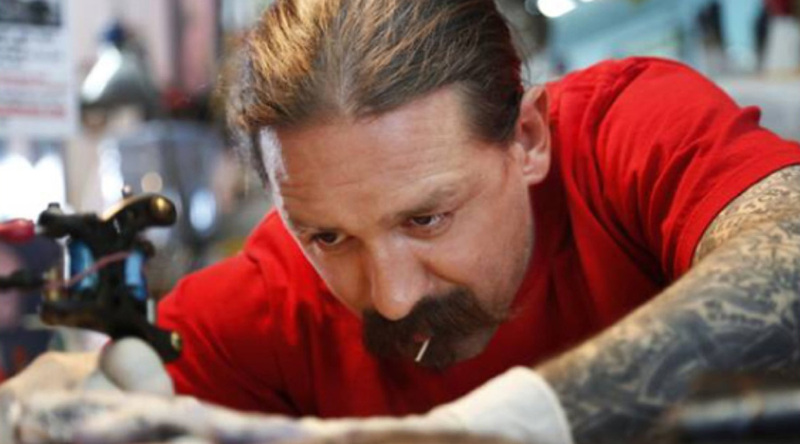 As a judge on Inkmaster, Peck is known worldwide as a master of the American Traditional style — but he credits his success to hard work, rather than TV fame. To find more tattoo shops, salons, and service-oriented businesses in Deep Ellum, click here.